8 July, 2014 at exactly 2052 hours, almost everyone in the world was watching the selecao, which is the Brazilian national football team recites her national anthem. Some of the players wept and even the fans were all moved with emotion. Come back to Nigeria, daily we recite, sing or listen to the national anthem as the case maybe, but each time you listen or recite it have you ever been touched by the lyrics? You ever taken time to think deeply on the wordings and how it affects your daily activities? “Arise o compatriots” this is a clarion call to the citizens of this great country to arise and reposition Nigeria to her rightful position. A call to service. A call to move forward and ascend, an awakening call. A call to the patriotic citizens of this nation. Wait, did I just use the word “patriotic”? Yes, patriotic. Or tell me how possible it is for one to serve her fatherland with love and strength and faith without being patriotic. Don’t think it is possible. But wait a minute, is it even possible for one to serve Nigeria with love and strength and faith? Is it possible for one to be patriotic? How is patriotism to be defined? What is its moral standing? Is patriotism morally valuable or just mandatory? Is being a patriot a central moral virtue? Patriotism I believe is not buying the super eagles jersey and supporting the Nigerian football team each time they play a match. No that’s not patriotism, we don’t all love football. Patriotism is not wearing the green and white colour every independence day (October 1st), and having the flag of Nigeria inside your car or your office. Patriotism is not simply showing up to vote during election period. Yes you might want to say there are people that don’t even come out to vote, they are not patriotic, I am patriotic, and that’s the reason why I do come out to vote. Well voting is just an essential duty and right that must be performed; it has nothing to do with you being patriotic. People vote for different reasons and most time these reasons are not patriotic enough. They vote for their selfish gain, or because they are not having a good relationship with the opposing contestants and not cause they are patriotic enough. Patriotism is not blind trust in anything our leaders tell us or do. Our leaders take actions that are not going to be beneficial to the Nigeria project, we don’t have to keep quiet and say we trying to be patriotic. If our leaders are asking us to cause problems, we just have to turn them down. Patriotism is not accepting everything our leaders are saying. Our leaders here, are not just the ruling Government/party but also the opposing party. If you look at the situation in Nigeria today, the PDP keep blaming APC and some of her members of sponsoring Boko Haram and fuelling crisis in some parts of the country. The APC are also not left out in the blame game, they also blaming the Presidency and his party for the current crisis in the north, and sadly most youths and citizens of this country have decided to support either the leaders of the PDP or APC, instead of being patriotic we are now perfidious. Yes, patriotic to the leaders but not to the country. Patriotism is not love for Nigeria, if by “Nigeria” you mean; the languages and tribes, religion, the rivers and mountains, the weather condition, the food, the mineral resources. Accordingly, patriotism can be described as love of one’s country, identification with it, and special concern for its well-being and that of compatriots. It is that special affection we have for Nigeria that makes us to stop whatever we are doing and tune our television to NTA to watch the super Eagles or even listen to the Presidential broadcast or interview. It is the special concern for the well-being of the country and fellow compatriots that will make us form groups even when we are not in Nigeria, it is that same reason we criticize the government when they formulate the wrong policies or take the wrong steps, but when it comes to sacrificing for the good of the country most of us don’t want to. Ask any man in the street what can you do for your country? Can you sacrifice your life, your time, your gift for Nigeria? And the response you will get is No. no one wants to sacrifice for Nigeria but we want Nigeria to grow and be a better country. No one is ready to make his neighbor smile and be a better person but we want to be great. No one is ready to see his brother achieve the unthinkable; some will even go as far as slandering and condemning every action of our fellow countrymen just because they don’t want to see them succeed even if that success will lead to the growth of the country. If we must grow as a nation and if Nigeria is going to reclaim her lost glory then we must be ready to sacrifice. We are not going to achieve anything if we all fold our hands and do nothing. This is the right time for us to arise and obey the clarion call. 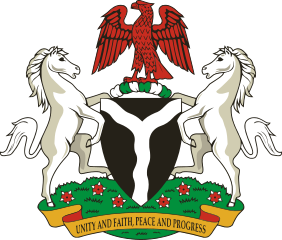 This is the right time for us to be patriotic especially now when boko haram is trying to unsettle the country. As patriotic citizens we need to arise and condemn the actions of boko haram, we need to forget religion and ethnicity and stand for a one Nigeria. If we decide to take a side instead of being patriotic this will affect us and lead to the disintegration of the country. We must remember boko haram is killing both muslims and Christians, both hausas, yorubas and igbos. We must be willing to support the federal government in her fight against this insurgency. We must be ready to provide clues on how to eradicate the book haram sect instead of criticizing the government daily. Yes, it is not wrong if we criticize the government policies but we must be ready to provide a better alternative. We must be ready to support our military instead of castigating them; we must remember that no country can achieve greatness when her members are at war against itself. If we going to serve our fatherland then we need to do that with love, strength and respect for our different faith and beliefs. If you don’t serve your country with love then there is the high possibility of you not giving your best. If we don’t serve our nation with all these qualities then the labours of our past heroes are going to be in vain. If we don’t understand the exacted narrative of our own individual life as embedded in the history of our country, we will not understand what we owe to others or what others owe to us. There is the need for us to know about the history of our dearly beloved country, to know how our fathers fought for the “one Nigeria” project and for us to inculcate those lessons and make it a part of us. If we don’t know about the labour of our fathers then we surely don’t know where we are going to. Patriotism is a special concern for the well-being of one’s country and compatriots, a concern beyond what we owe other people and communities. Patriotism is not but another extension of the duty of concern for others; it is a special concern for my country because it is my country, for my compatriots because they are my compatriots. But what do we have in Nigeria today? We have people that are much more concerned about what is going on in other countries than in Nigeria, people that are loyal to other nations than their own country Nigeria, people that are ready to sacrifice their lives for other countries than theirs. People that are willing to join Hamas in battling Israel than The Nigerian Army in battling boko harm. People that are allowing religion to becloud their sense of reason. People that are not concerned about the number of killings going on in Nigeria daily but are much more concerned about the activities going on in other parts of the world. People who are proffering solutions to world crisis but we never offer help in solving Nigeria problems. I am not saying you should not be concerned with what is going on in the world; I am not saying you should not love your neighboring countries. Yes love them, help them, assist them, but before you do all these make sure you doing same for your nation. You might want to say, is there any reason to develop and exercise a special concern for the moral identity and integrity of our country, looking at the fact that it seems the leaders of the country don’t even care about us. They keep enriching themselves and the masses keep drowning in the pool of poverty. We need to know the object of patriotic loyalty is mandatory and it is something we just have to do. We just have to be loyal and patriotic, it is a call we must obey; but this does not mean that a patriot will support any government in power. A patriot’s allegiance is not to the status quo of power, but rather to the “the nation conceived as a product”. One can oppose one’s country government in the name of the country’s true character, history and aspirations. As Mark Twain rightly put it “loyalty to country always. Loyalty to government, when it deserves it”. If we going to live in a nation where there is peace and unity, then we need to see ourselves as one entity and not as religious brothers or tribes men. It is when we start taking ourselves as one Nigeria that we can start sharing love among ourselves. It is then we can be willing to sacrifice for ourselves. I know and I strongly believe there are people who still love this country and are willing to die for the good of the country. I know and I strongly believe there are people who still have that special affection for this nation not just by wearing the green and white colour but also showing special concern for her compatriots and promoting the country positively. I know and I believe in the face of impossible odds, we still have people who love this country and are ready and willing to change it.